America's largest denture repair service. Complete order form and click print button to print out the form. 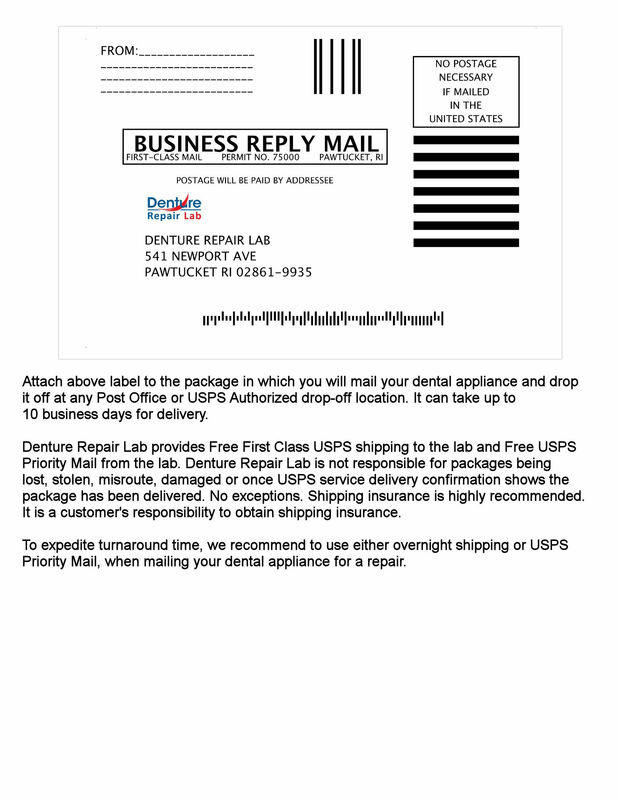 Credit card information is optional we can obtain it over the phone once denture is recieved. Shipping is free with prepaid label. Overnight shipping is suggested. We ship back with free USPS Priority mail. Upgrade to USPS Express for $30. I have read and agree to the Denture Repair Lab Policy and authorize Denture repair Lab to charge my credit card for the services provided.